New installment and upgrade options require a lot of math and a bit of timing to figure out when to get your next iPhone. I wasn’t planning to get an iPhone 6s. I have an iPhone 6, which is more than adequate to all my needs and means. I only upgraded from a 5s, one of my favorite iPhone models, in order to effectively write about Apple Pay. 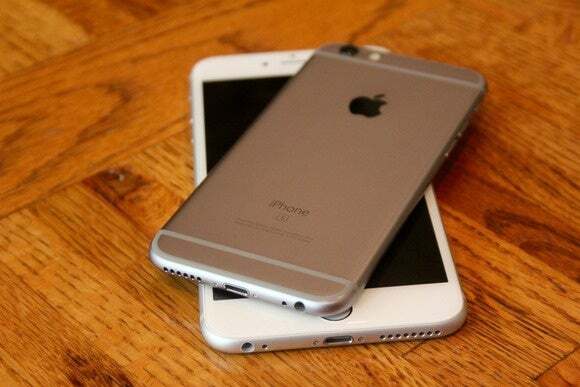 But I admit I loved the 6’s bigger, brighter screen and its improved performance. 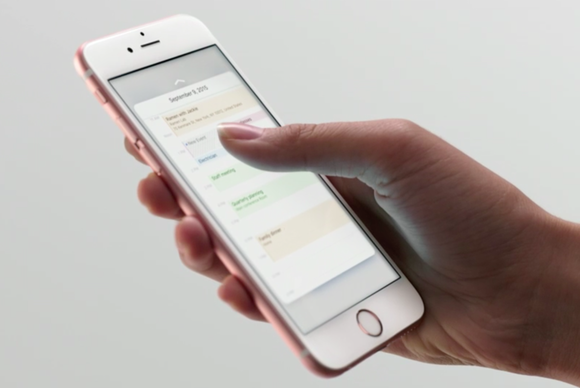 Then, as I read glowing reviews of many improvements in the iPhone 6s and 6s Plus, I started to get itchy. “No, no,” I told myself, “An upgrade is a hassle, you have an existing plan, and there’s no need. There’s no need!” But I made a terrible mistake: I looked into what I could sell an unlocked iPhone 6 for, what my remaining balance owed to AT&T was, and how easy it would be to slide into a new phone. I was doomed. The model of subsidizing phones that combines line fees, usage, and lease-to-own costs has rapidly moved over to installment plans at most American carriers. As we’ve documented at Macworld over the last few months, AT&T and T-Mobile were joined by Verizon and Sprint (in somewhat different ways), and, in a surprise twist, Apple, to change up our expectations of iPhone upgrade plans. The subsidized model typically combined a down payment on any newer models, with an early termination fee and upgrade eligibility periods. You could wind up with a phone you owned completely (and could sell) at seemingly random times so long as you opted into another two-year contract on the same terms. The termination fee was meant to recover any costs the carriers couldn’t get out of your monthly service. Installment plans are much, much simpler, and as carriers play chicken with each other to acquire customers—especially with T-Mobile’s aggressive efforts to build its subscriber base—it’s much clearer what we’re paying and easier to calculate options. Installment plans cover some period of time, typically 18 or 24 months, with equally divided payments. At some point during that period, you can trade in a phone and erase all remaining payments. You can pay off the remainder at any point, and at the end of the installments, you own the phone outright. What you’re “buying” as part of these plans in many cases is the requirement that the carrier or Apple will take your current phone back without any need for you to find a seller, and give you what is effectively a guaranteed residual price: the total of the remaining installments you owe. Most unlocked iPhones in good condition retain a value higher than that, but there’s also the hassle of arranging to sell it. The plans do vary a lot. AT&T has a fixed period after which you can do the trade-in or trade-up, while T-Mobile’s Jump on Demand allows three upgrades a year, which is clearly a promotional stunt—most people don’t want that burden. However, while T-Mobile bills it as an 18-month plan, you pay 1/24th of the cost each month for 18 months, and then either trade in or pony up the remaining quarter in a single payment. 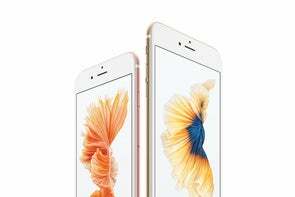 Verizon, meanwhile, has a single plan that divvies up the cost over 24 months and allows an annual upgrade—but only for the iPhone 6s and 6s Plus. Alternatively, you can pay 100 percent of a device’s cost upfront and own it outright. But we are in a strange period of very low inflation, and Apple and the carriers all offer zero-interest plans with no financing charge and no early buy-out penalties. So you might as well “borrow” the money from them until the point that you either want to own it outright or trade it in. I suspected I might be ready for a new iPhone in a year. I was, but I didn’t want to pay AT&T. You see, I’m one of those people who buys AppleCare+—and I like it. AppleCare+ is worth the money if you want extra protection for your new iPhone. Many people probably don’t buy Apple’s extended AppleCare+ warranty ($99 for iPhone 6/6 Plus and older; $129 for 6s/6s Plus). The plan extends phone-based tech support for software help from 90 days to two years, which, dear Macworld reader, I know you don’t need, but many less-veteran iPhone owners might appreciate. It extends the hardware warranty from one to two years, covering the iPhone, its battery, earphones, and accessories that came with it. The battery part is the most interesting: Under AppleCare+, the company will swap out a battery that can’t retain an 80 percent charge. Manufacturing defects are also covered. And you can get an iPhone fixed for up to “two incidents of accidental damage” at $79 a pop for iPhone 6/6 Plus and earlier, or $99 each time for the iPhone 6s and 6s Plus. Extended warranties are usually a terrible deal. You save enough in not paying the warranty costs over time to make up for the cost of any repairs or replacements you pay for out of pocket. However, despite never cracking the screen on any iPhone—from 2007 to present, knock wood!—I’ve made use of AppleCare+ multiple times, for the equivalent of several hundred dollars of repairs priced at independent third-party shops. If you want to shoot Live Photos, you’re gonna have to upgrade to a 6s. So far, I’ve opted into AppleCare+, and the calculus for my iPhone purchase has always included that $99 or $129. This is why the iPhone Upgrade plan from Apple makes the best sense for me. The plan totals the cost of a phone and AppleCare+ and divides it into 24 payments with an upgrade option starting at 12 months. If you want AppleCare+ otherwise, you pay for it entirely upfront and it isn’t part of the trade-in value nor is the unused portion transferred by carriers or Apple to a new phone. 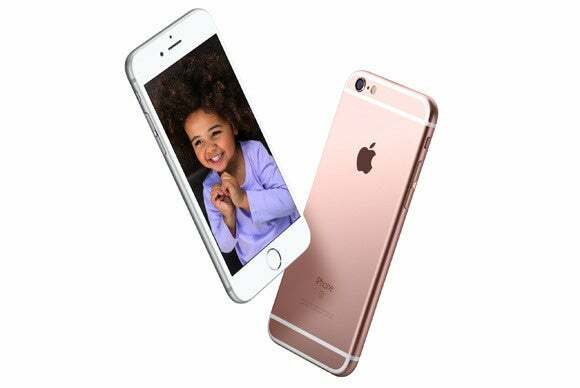 Consider the costs of my iPhone 6 and 6s, both of which were AT&T silver 64GB models and cost $749.99. With AT&T, I paid $99 for AppleCare+ and $80.65 for sales tax (required upfront in Washington State), for a total of $179.65 at the time of purchase. I was then billed $37.50 per month thereafter. That’s a total of $929.64. With the iPhone Upgrade plan, the total cost was $749 plus $129 for AppleCare+ (the S phones are more expensive to repair?). I paid $84.28 in tax upfront, and will total $962.28; the monthly installment is $36.58. If I’d gone with AT&T for my renewal, the cost would have been identical overall and in both plans I would have been able to swap at 12 months. However, at 12 months, I’d have paid Apple less because the AppleCare+ was divided up, and because AT&T’s 12-month upgrade cycle requires 20 equal installments—not 24 as with Apple’s. You can come out even further ahead with T-Mobile, especially with some of their current special deals, but I’m not unhappy with my mix of service, coverage, and pricing with AT&T—especially with the 15GB promotional bump that’s permanent and the 1-month rollover data, both seemingly provoked by T-Mobile. If I don’t restrain myself in a year and get an iPhone 7—assuming Apple keeps its numbering scheme—I’ve paid in less before I swap. If I want off the upgrade wagon, I can stick through the end of either plan and come out the same, too, so I’m not losing money by choosing Apple’s option. Now that you’ve decided to upgrade, you have to figure out how to ditch your old phone. AT&T makes it easy to pay off the balance on a Next phone. When I decided to move forward, I went to AT&T’s site, found a link quite quickly, saw the balance ($337.49), and paid it. They even have a link to download a nicely formatted PDF with a detailed breakdown of your payments and payoff. Apple’s iPhone Upgrade plan is only available in an Apple Store for same-day reservation and pick-up, and requires a credit check, a credit agreement, and a credit card that has its bill sent to a U.S. address. It took a few days of stalking the reservations page before I found the model I wanted at a nearby outlet. The entire in-store process took, I swear, less than 10 minutes from walking in, including ensuring the phone number had switched over to the new phone. An Apple Store employee and others suggested I could get around $500 for it, given that it’s impeccable and unlocked and has AppleCare+. 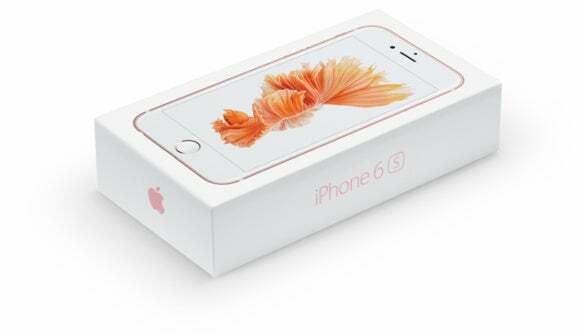 New, an iPhone 6 in this capacity costs $649 plus the $129 for AppleCare+. With a little tweeting, I made a match with a friend in the UK who will soon be visiting the States. (We double-checked that the LTE bands were compatible.) I decided to ask for $400 since so much of the hassle of selling a product are reduced with a friendly transaction. I come out about $65 ahead of continuing to own the phone, because I’m selling it for more than what I had remaining in payments—$425 versus the $337 I spent to pay it off. If I had kept the iPhone 6 until it was paid off—if it continued to work and was in good physical condition—I might have been able to sell it for $150-$250, reaping a potentially larger advantage than I got by selling early. Or I could have continued to use it, effectively reducing my monthly cost by spreading it out into future utility. I figure the monthly cost of owning smartphone hardware is about $40 plus tax for what I need from one. I’ve had iPhones in my family last from 2-4 years, but that longer time frame appears to be an outlier with the wear and tear phones get. With AppleCare+, I could certainly assure that if anything were obviously wrong with the iPhone 6 when it neared the end of its two years, I could get it fixed. But it could also just as easily have broken in month 25. Will I get an iPhone 7? I am a technology writer, though I try to not be attracted to the new and shiny. 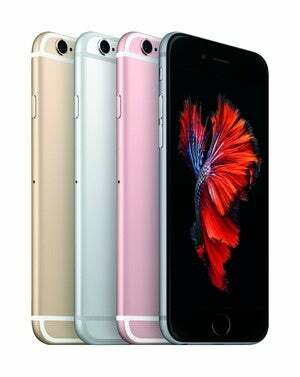 But Apple’s making it awfully easy—and definitely less expensive—to buy into annual upgrades.